The top remaining uncommitted wideout in New Jersey has made his college choice. 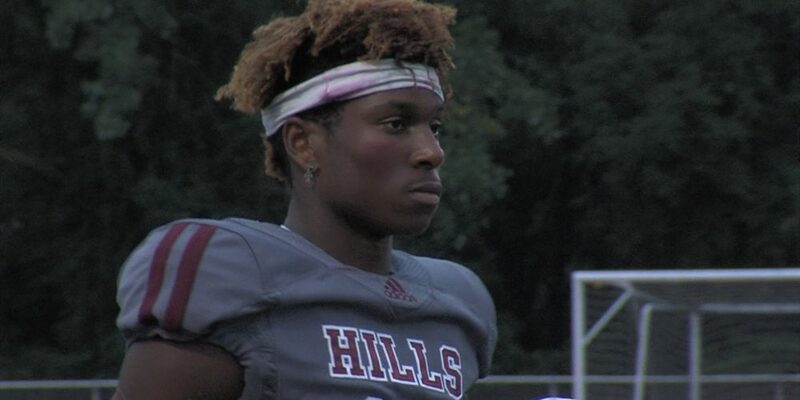 Charles Njoku, the 6-4, 200 pound wide receiver from Wayne Hills High School, announced Friday night he will be attending UCLA. Njoku was arguably New Jersey’s most dominant wide receiver during the 2018 season. He hauled in 52 catches, 1,106 yards and a staggering 16 touchdown receptions. Njoku was the top weapon on a high-octane Wayne Hills team that went 11-2, scored 34.9 points per game, won the North 1 Group 4 sectional final and also captured the inaugural North Group 4 Bowl at MetLife Stadium. If his last name sounds familiar, that’s because it is. Older brother David Njoku played tight end at the University of Miami and was selected 29th overall by the Cleveland Browns in the 2017 NFL Draft. His other brother, Evidence Njoku, is a redshirt freshman wide receiver currently enrolled at the University of Miami.